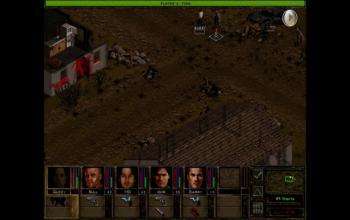 Jagged Alliance: Flashback a new turn based strategy with Linux support! Holy cow! Jagged Alliance: Flashback has just been put up on Kickstarter with Linux support right in! Quote Jagged Alliance: Flashback is our vision of returning a once critically acclaimed franchise back to its roots, it's not a reboot, it's a reset! The original games are quite highly rated so maybe it's time to test them in Wine and see if we can remind ourselves of the story? Quote We will give you a choice of distribution, always including a DRM-free option, for both the core game and future expansions. Quote * DRM-free delivery - finding good distribution channels to deliver on all 3 platforms. GOG is the obvious choice for Windows and also Mac. But what about Linux? Time will tell and worst case we will distribute the game to Linux owners ourselves. So hopefully lots of people can suggest Desura to them for example who offer stand alone downloads direct from the website, or Gameolith for example. You need to fork out $25+ to secure a digital copy of the game, so get your wallets ready folks! It is really great to see some of the old greats get revived especially when they will come to Linux as well, this will be a sure hit I've no doubt. By buying a native versions, you help Linux grow. You do not support Linux by using Tux Games, I have seen far too many posts from people not getting their games or waiting months for them. The best way to support this one is to support the Kickstarter. liamdawe You do not support Linux by using Tux Games, I have seen far too many posts from people not getting their games or waiting months for them. The best way to support this one is to support the Kickstarter. What I can say, I have a boxed(keep case) copy of native JA2 version from tuxgames. I didn't wanted to be so harsh on them, but You are right, tuxgames I used to know is no more. There was actually a massive bug with Tux Games; where, if you "order" a game for digital download copy and then cancel the order in PayPal, you get the download link for the game for free. Worked on JA2, Software Tycoon, Ankh (and 2) and Jack Keane, among others (I ended up ordering everything available) -- some games were obviously DRM'd so they crapped out. Before you ask though, I had sent several emails about it with no response to any of them. Gaming on Linux is moving forward, but sometimes I miss those left behind(Loki, LGP, TuxGames and more). Also posting you know what here, might be not a good idea. It might cause some unnecessary problems. It's only my opinion, please don't treat it as request or something.